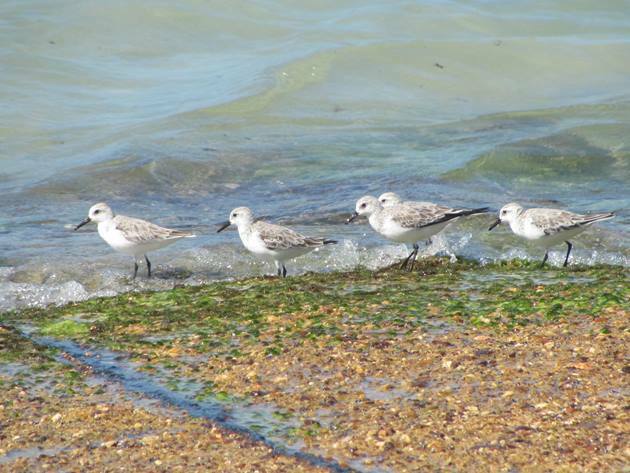 Sanderling-Calidris alba have been returning to Broome over the past few weeks from their northern migration. Each year the Sanderling depart from Australia and head north to Siberia to breed and then return to be observed running frantically along the water’s edge. 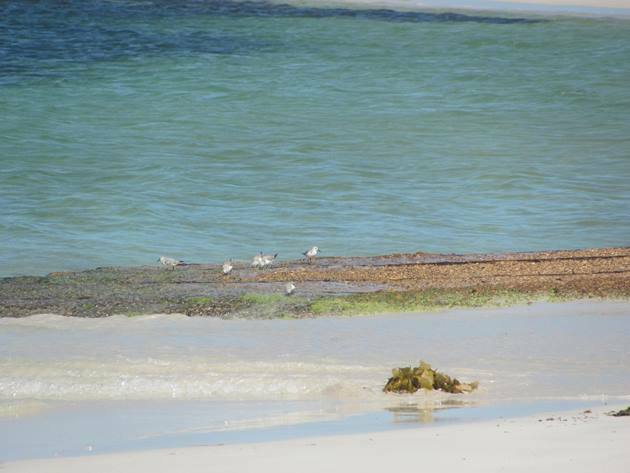 Sanderling prefer sandy beaches and they are found along Cable Beach, northern Cable Beach, Reddell Beach and Gantheaume Point when they are present in Broome. The problem with photographing Sanderling is that they rarely stand still, especially prior to migration and on their return. Sanderling always appear to be the most active of the shorebirds in Broome and whilst other shorebirds are content at roost on high tide the Sanderling are often still running around feeding. Earlier this year when we were in the south of Western Australia adding numerous bird species to our 2018 year list we encountered a small flock of Sanderling. Having visited the art on the grain silos at Ravensthorpe we travelled to the coastal town of Hopetoun. 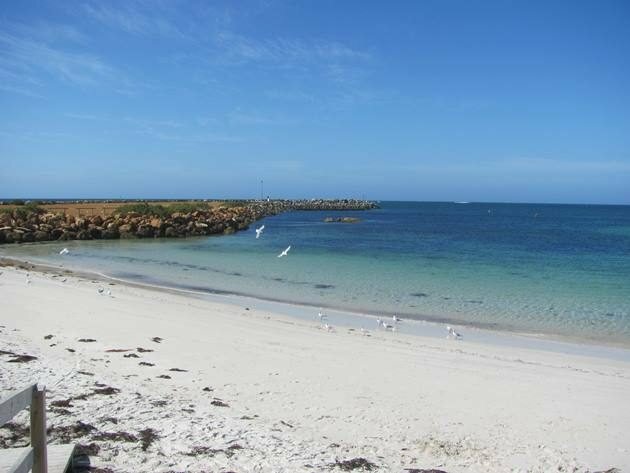 Hopetoun is a quiet coastal town with white sandy beaches that make your shoes squeak! 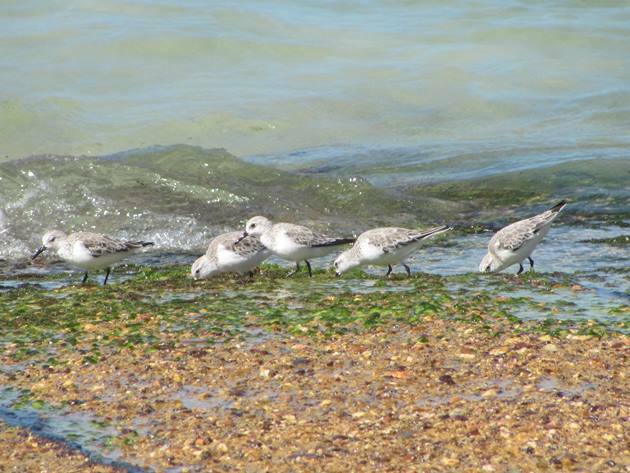 As we wandered along the beach we soon observed a small flock of six Sanderling on the boat ramp. 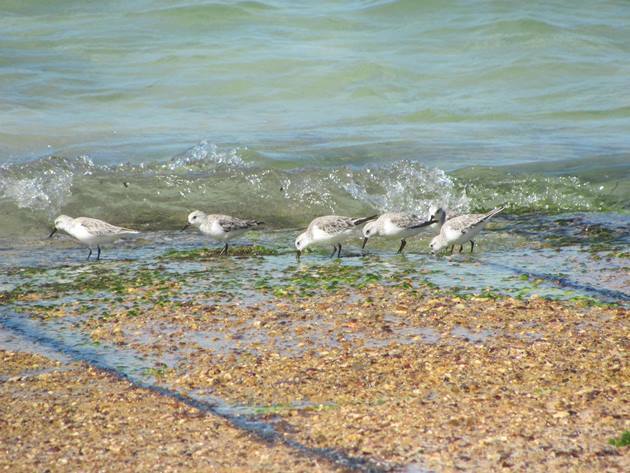 The Sanderling were busily feeding and allowed for a few photos as they ran frantically in and out with the waves. 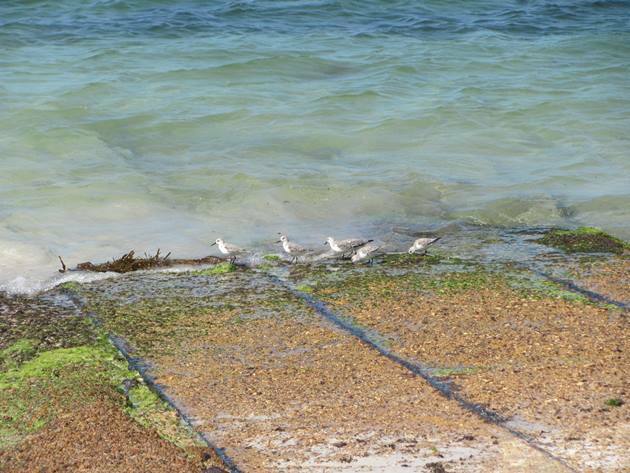 When these six Sanderling at Hopetoun were ready to head north they would have to fly a minimum of 2000 kilometres/1200 miles to even get as far as Broome and that’s if they travelled direct! The Sanderling would then continue north to breed and hopefully return once again to Australia several weeks later. We have observed Sanderling that have been individually marked in South Australia drop in and rest and feed on Broome’s beaches in September before they continue on their journey south, but it is still a long way to go for such a small shorebird. Sanderling weigh in at around 50 grams, so they are twice as heavy as the even smaller Red-necked Stint, which is also encountered on the beaches around Broome and at the ephemeral lakes. All of these shorebirds are incredible when you consider the journeys that they make each year to breed in the northern hemisphere. You can encounter Sanderling in numerous countries around the world and each time you observe them you should take a moment to consider the journey that they have made to be with you that moment in time.